This solar-inspired firepit measures 14.00 inches tall by 40.00 inches in diameter and may vary slightly in size since each piece is hand made. 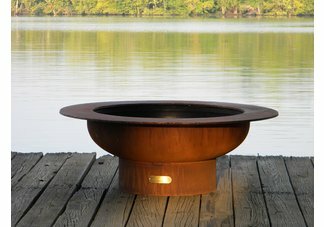 With inspiration taken from the heavens, the Saturn Firepit showcases the spectacular ring feature that makes this planet one of the most beautiful objects in the night sky. 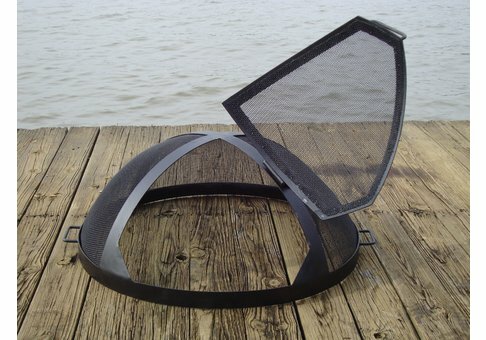 The firepit ring is a convenient resting spot for a beverage or foot rest as the embers glow under a full moon. 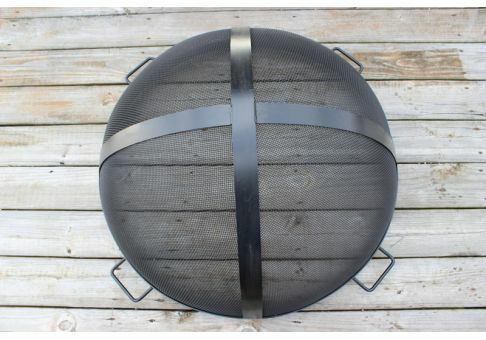 The inner bowl has a high temperature resistant coating and comes with a one-and-a-half inch diameter rain drain in the bottom. The outer frame includes an iron oxide/patina finish that will gradually mature to a darker, more permanent, finish over time. 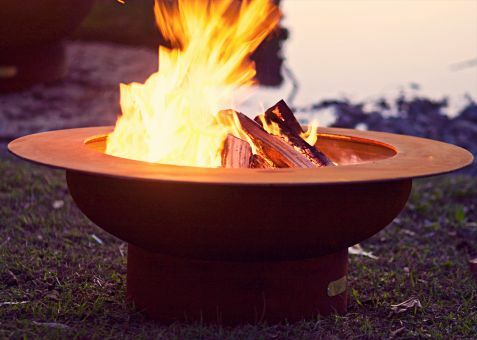 These rustic firepits are maintenance-free and can be left outside in all weather conditions. This design is made to order and is individually numbered by the artist on an attached brass plaque.